This last week in San Francisco the weather was brilliant, sunny, clear, but not too hot. Perfect Ice Cream eating weather in other words . 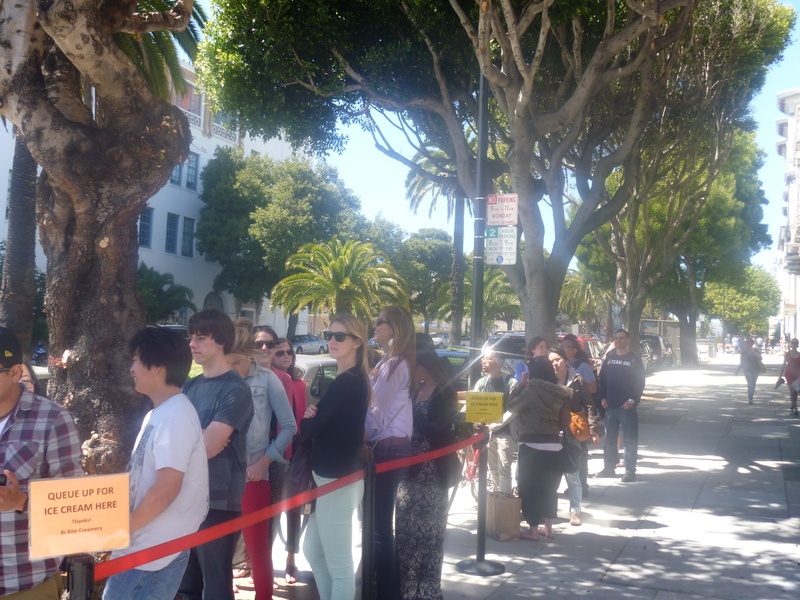 The line not only went up the block but around it and up the next one as well! 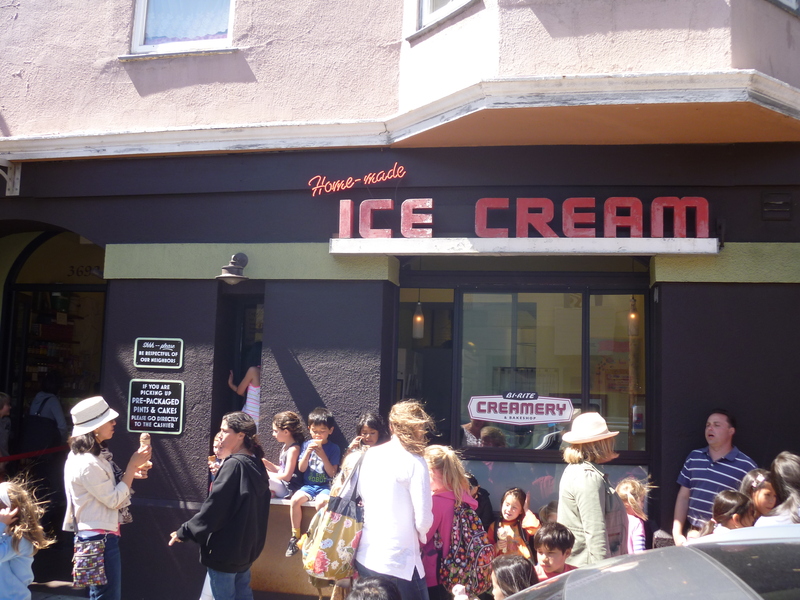 Bi-Rite has two ice cream shops next to each other, the bigger one is dedicated to Sundaes and scoop-able ice cream, the adjacent smaller space is for baked goods and soft serve. 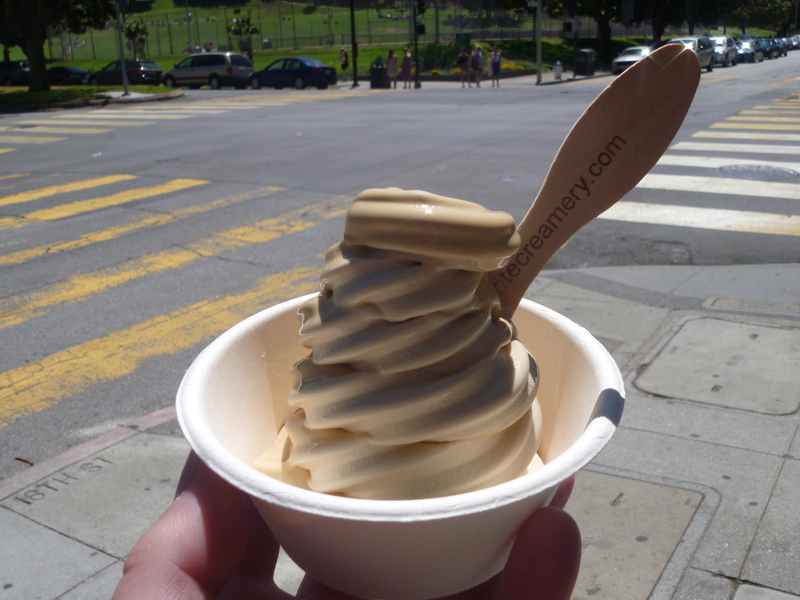 The day I finally hit the jack pot was at the soft serve place where the two flavors of the day were coffee and salted caramel. I had a twist of both. Yum. 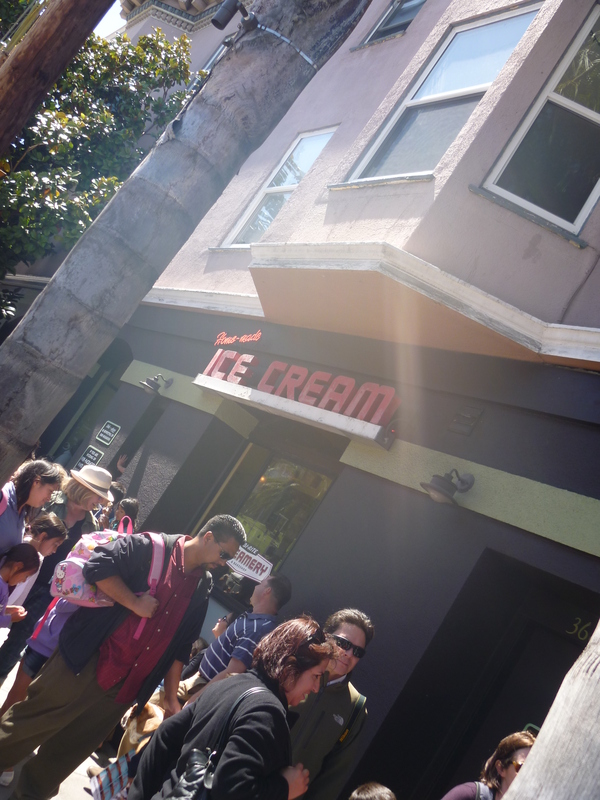 But I’m not so sure I think any ice cream is worth waiting in line for. Though even as I typed that I know we often wait in line at Il Laboratorio del Gelato for a bowl of something creamy cool and sweet. It’s just the lines are never as long here! 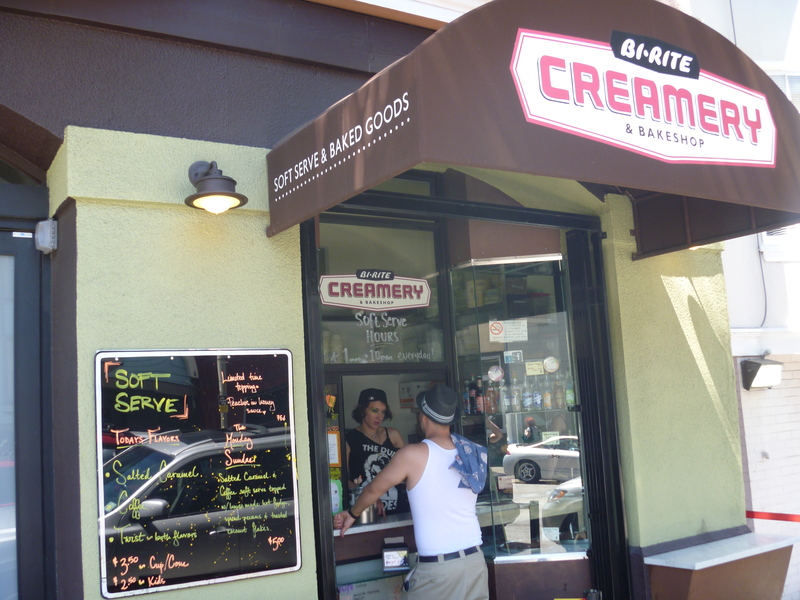 The other thing is that Bi-Rite is also just down the block from one of the largest hang out parks in the city Delores Park. Where in addition to hanging out there are many intrepid entrepeneurs selling, “edibles” which have the miraculous ability to actually make you hungry. I’m glad I finally did get to sample the delicious -ness that is Bi-Rite ice cream, my only regret is that they don’t have a branch here, I want a sundae! 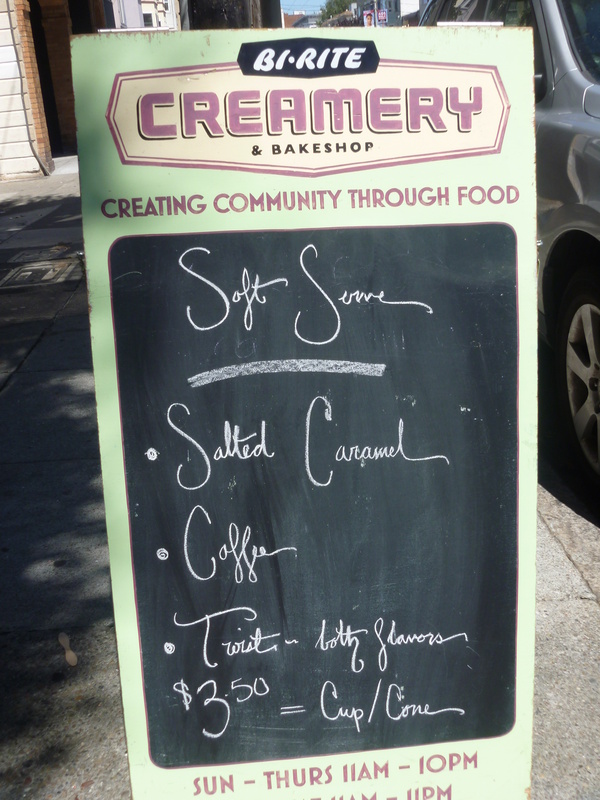 This entry was posted in Travel and tagged Bi-rite ice cream, il laboratorio del gelato, San Francisco. Bookmark the permalink.